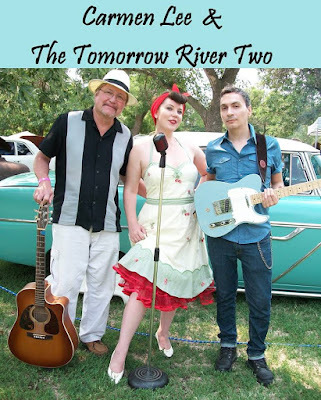 Carmen Lee and the Tomorrow River Two Giveaway! This week's giveaway is sponsored by the lovely Carmen Lee and the Tomorrow River Two! Prize pack includes a Carmen Lee pinup calendar, Carmen Lee and the Tomorrow River Two "Big Star" CD, hand silk screened band tank top, and stickers! Born and raised in a small, no-stoplight Midwestern town; Carmen Lee was practically singing since she was born. She wrote her first song at age 4, a bluesy tune on which she accompanied herself on an old upright piano, the only lyrics being "It's a hard way of livin', do do dah". At the age of 12 she discovered Elvis Presley and her love of old school country/rockabilly began. 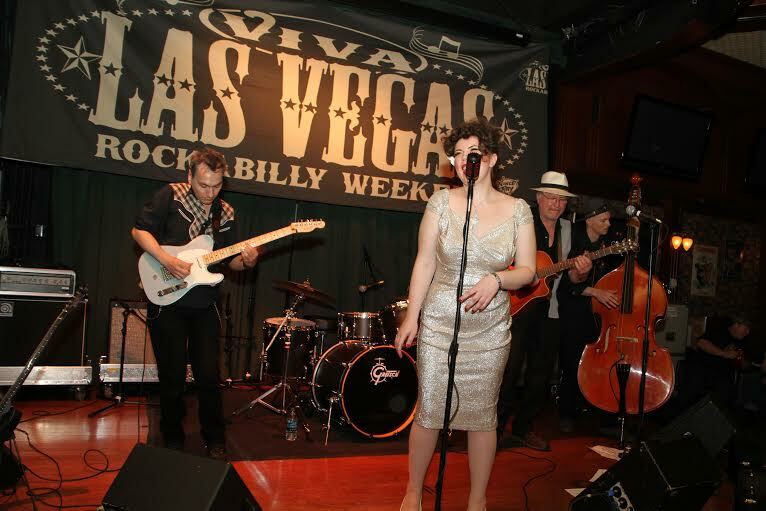 In 2007 she formed her band 'Carmen Lee and The Tomorrow River Two' (sometimes Three) which pays homage to Elvis, Johnny Cash, Patsy Cline and the Sun Studio sound while also fearlessly blending other genres into the mix. The name itself is an homage to the original Johnny Cash and The Tennessee Two as well as to the Tomorrow River which runs through her small hometown. Carmen Lee and The Tomorrow River Two's title track 'Big Star' from their debut album in 2011 has become Carmen Lee's 'brand' of sorts and it's all about becoming a success and leaving those who treated you unkind in the dust; as the song says "I'm gonna be a Big Star, now you can shine my shoes"! And a success they have been with playing car shows and festivals throughout the Midwest, performing last year at Viva Las Vegas Rockabilly Weekender in Vegas, and opening for Slim Jim Phantom's 'Rockabilly Circus' this October in Milwaukee. 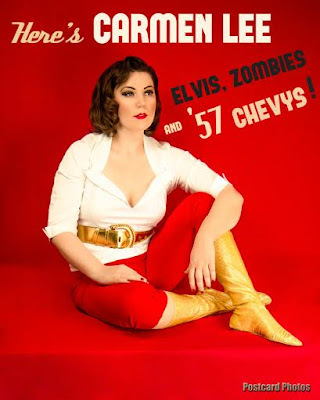 The band plans to release their second album 'Elvis, Zombies and '57 Chevys' in 2016. 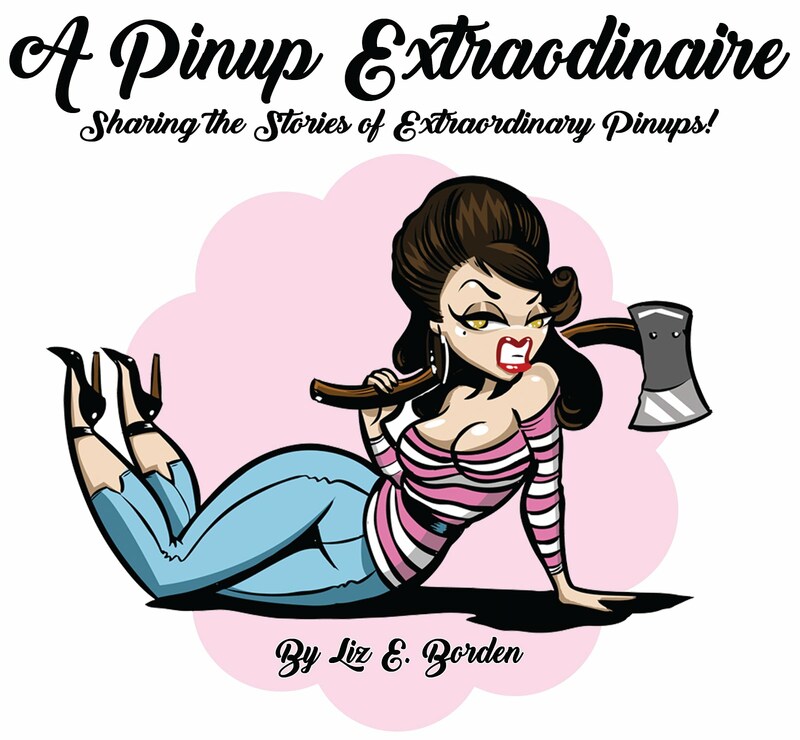 Here is the first ever sneak peek at the cover art (shot by Postcard Photos during Carmen Lee's trip to Vegas). Stay tuned for updates/release parties! You can also contact Carmen Lee via Facebook if you would like to pre-order the album. Don't forget to check them out on youtube! 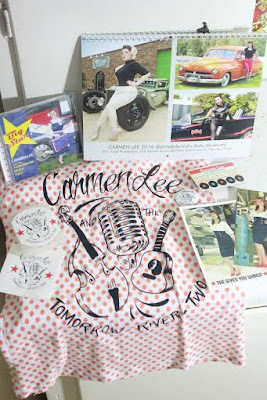 Be sure to enter the giveaway for an awesome Carmen Lee prize pack! Good luck!